Probate is one of the issues that comes up when people inherit a property. The process of probate can tie up the sale of an inherited property, and will prevent or delay any closing of any agreement to sell the home, until this process has been completed. So what is “probate”? Probate is a legal process triggered by the death of someone who owned property. Probate determines the validity of the last will and testament (or that there is no will) and the identity of the beneficiaries. If the person who passed away died without a will (intestate), then probate determines the identity of the heirs. Probate exists in both the U.S. and Canada, and although this article is being written from a Canadian perspective, the principles remain the same for both countries. In Canada, each province has differing rules on probate and each province has different specifications on what documentation is required as part of the probate process. 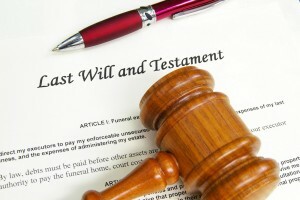 Typically when someone dies, and they have a will, there is a designated executor of the estate. The designated executor will usually hire a lawyer to facilitate guiding the estate through probate and the dispersion of assets. Probates have four main components: (1) the application process; (2) identifying and managing the assets; (3) paying off the debts of the estate, if any (4) distributing the balance to the beneficiaries. Probates protect the interests of the estate’s beneficiaries and creditors by ensuring the orderly distribution of assets and payment of debts/expenses. Paperwork is typically filed by a lawyer, and court appearances may be required. Will probates can take 6 to 9 months or more to complete, and until the process is finished, you will be legally unable to sell the inherited house. If you accept an offer to sell an inherited property that is going through the probate process, it will not close on closing day, unless the probate has been completed. Probate homes can be listed and sold, however, provided that there is a clause included in the offer, that the sale is conditional of the successful completion of the probate process. Otherwise, if there is no such clause, or if the sellers fail to disclose that there is a probate in process, if there are delays in closing, there can be ramifications wherein the buyer seeks compensation. There are ways that owners of real property can avoid the probate process before they die, saving their heirs a great deal of trouble. One such strategy is the Living Trust. A living trust is a technique in which a trust is created while the owner is still living, and the real property is transferred into the name of the trust without giving up the possession or control of the property. When the person passes away, the home can be distributed directly to the beneficiaries named in the trust. Using this strategy, probate court is avoided. There are other strategies to avoid the cost and time of the probate process, but these are legal matters, and anyone interested should check with an experienced real estate lawyer or accountant, for further advice.